My grandmother however is the best southern style cook. 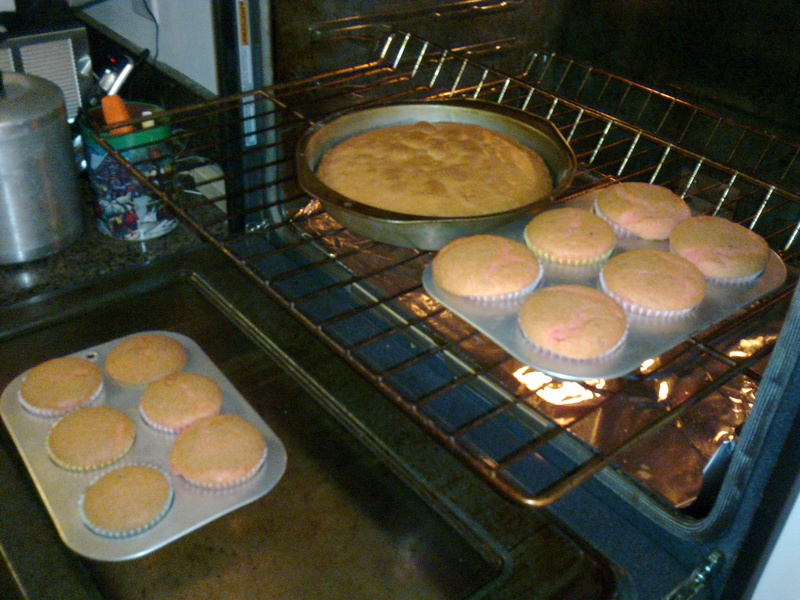 God bless her soul, she took the time tonight to help me make my first batch of CUPCAKES. 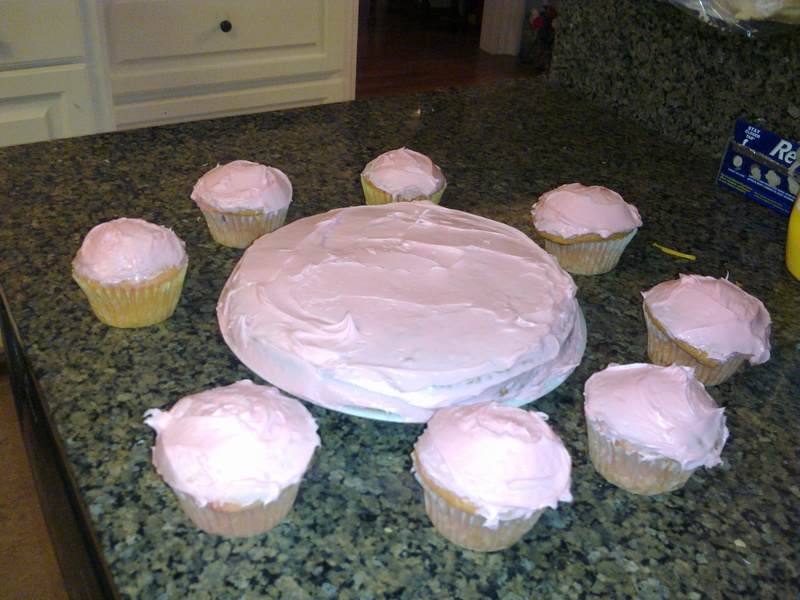 And to my surprise, I did an excellent job… I’m super proud of myself. No, I don’t think I’m ready to step up to making Mac & Cheese just yet. However, I will try making a cake in another week. Yea! It’s that time again, time to vote for your favorite Passionate Reads Pitch Contest entry! This round, we’ve moved onto 1st chapters, and just like the last round, the contestant with the most reader points automatically moves on, even if it wasn’t one of the ten pitches our awesome judge picked. This is the last round of reader voting so spread the word. Poll closes Sunday, January 31, at 12:00 p.m. Pacific Time and I’ll announce the results on Tuesday February 1st. Congrats to all our finalists! For those who didn’t make the cut, we wish you all the best in your publishing endeavors. This is such a subjective industry, so keep at it! Why I don’t leave the house!!! Okay, this is the reason I don’t leave the house. I was at walmart shopping. Went to the car to load the bags. Started the car and popped the trunk. (Car is running). So I was loading the bags into the trunk and this lady in the next car shuts my car door to get into her car. I don’t flip out (Cause the keys are in the car.. and the car is on) So,I finish putting the bags away and close the trunk. I go to open the door and WTF? its locked. So, I am standing outside w/ no coat, It’s 25degrees outside and the wind is blowing.I look in the window and my purse with my wallet and my jacket are sitting on the seat looking at me laughing… Ugh,I called the fire department thinking they might come out because the car was running and locked, but the only come out when a child is in the car.So, Then I called home and to make it worst It takes 1hr for someone to come help me. I don’t want to leave the car running, but I was cold and needed to get warm. I go back inside of walmart to wait. I WAS PISSED!! Ugh I was cold, and crying and ready to go home. Finally, my family arrives. So we are trying to unlock the car.. but it has air bags UGH !!! So, This guys goes thru the windshield (Don’t ask) Anyway, we get the window down. I get in the car about to drive away and look up. THE f**king WINDSHIELD IS BUSTED)… And to make it worse.. ITS NOT MY CAR!!!! my sister switched cars with me. OMG.. this is why I don’t leave the house. The last thing she needs is to get involved again, especially with a guy who’s hiding something. Despite her vow to avoid him, her resolve is shredded every time he crosses her path. Blake Newman had just become second in command to his new alpha and best friend Jerome Richardson. They went to take care of a Pack problem in Jerome’s old town. He never wanted a mate—until he meets the one woman that could change his mind. He is blindsided by his intense attraction to Emma. He wasn’t planning on meeting the woman destined to be his mate, or finding out she’s not aware she has the genes of a wolf. One night with Emma leaves Blake hungry for more, and he senses the feeling is mutual. His instincts tell him Emma won’t be satisfied until she’s unearthed all his secrets. He’d like nothing more than to reveal every last part of himself to her. The question is whether she can handle it, once she knows everything, will she back away. This entry was posted on January 10, 2011. The Polls Are Open !!!!! Yea! It’s time to vote for your favorite Passionate Reads Pitch Contest entry! on January 8th, we’ll open the polls for voting and readers will have one week to vote for their favorite first round entry. How fun is that? via Passionate Reads Pitch Contest is open for submissions…. This entry was posted on January 5, 2011.